I have seen so many people on instagram carrying these adorable pouches. Finally after seeing The Beauty Look Book show hers I knew I needed to get my own. So I placed on order on One Truffle for the large Clarity Pouch. The shipping was super fast and the pouch is beyond perfect. 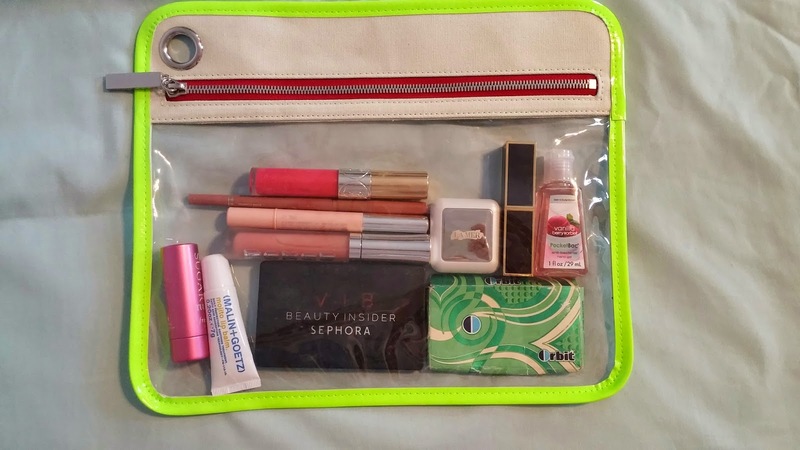 It fits nicely into all my purses and hardly takes up any room. 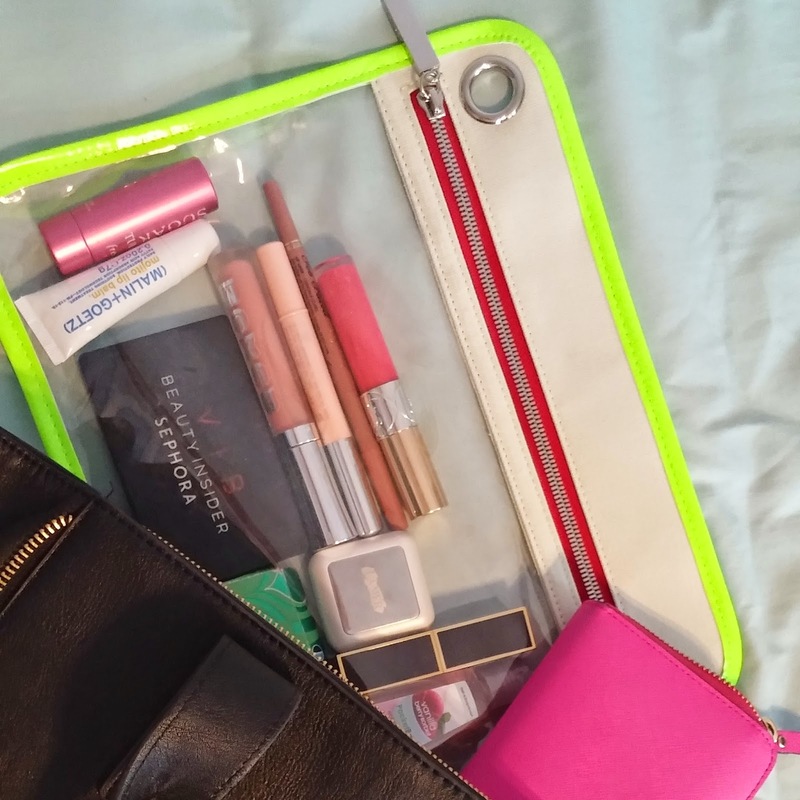 And I am able to fit all of my everyday essentials into the pouch and it has room for more! It measures 10′” x 12″. I am totally ordering a few more. Here I am using my Forever 21 bag and my Kate Spade wallet. What would you put in your clutch ? ?